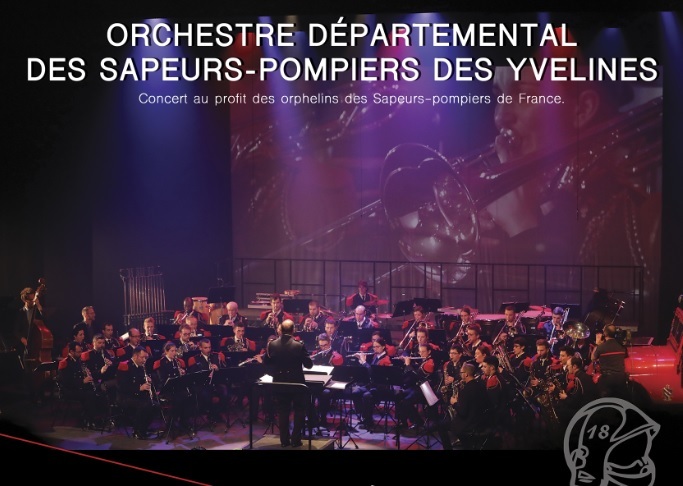 The Departmental band of the Yvelines firefighters, the ODSPY, an integral part of the SDIS 78 (The Yvelines Department Service for firefighting and assistance) is commissioned to accompany the official ceremonies, celebrations and festivities. Created under the auspices of the Conseil Général des Yvelines (the Yvelines local political authority), as a drum and bugle band in 1987, it was expanded into a full wind band as early as 1995. 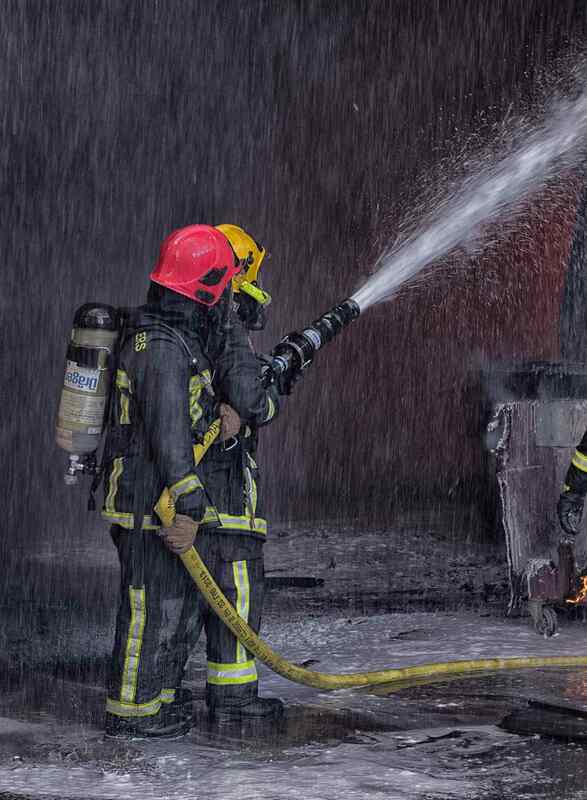 Conducted by captain Richard Regel and his deputy captain Jean-Louis Delage, it is staffed with 55 players, accomplished amateurs and young professionals, all committed to the high ethical values of the firemen. But it also gives concerts in theatres, celebration halls and churches, often well beyond the Yvelines, and it today clearly belongs to the musical heritage of the department. It regularly plays with famous soloists and as a partner to other well-known civilian or military orchestras. Famous places like the Paris Arc de Triomphe, the Bercy Hall, the Château de Versailles gardens, cathedrals, welcome the ODSPY for events and national congresses or first rate concerts, while the media frequently invite it for broadcasting or television shows. Last but not least, it regularly produces records of classical, film, popular or jazz music, thanks to which its skills help supporting the more than 700 orphans from French firefighters who died in operation, by allocating part of its CDs revenues to l’Œuvre des Pupilles (ODP) et fonds d’entraide des Sapeurs-Pompiers de France (the charity which supports these orphans). Along its 27 years of life, the ODSPY developped an unusually rich musical repertoire : classical and contemporary, jazz, popular and film music, military, ceremonial, danse, etc… It also participated to the creation of contemporary works. It plays either with the full orchestra or with smaller bands adapted to the demand or the situation. Genuine ambassador for the SDIS 78 and spokesman for the ethical values of the firemen towards the population, the administration and the citizens’ representatives, unrivalled public relations tool for l’Œuvre des Pupilles, it is on duty around fifty times a year, fairly often in charity concerts for the benefit of other charitable organizations.